It’s time for another round of “What’s on My…” as I wait for some boxes, and began to prepare my posts on others! Shoppingggg…. I can’t stop online shopping. Ugh, obsessed. I just put an order in for these shoes (above- Aerosoles Solitaires) since I’ll be trekking around Europe for 10 days and everyone says “don’t wear flip-flops” and sneakers are so not my thing. I would hate to stick out like a sore thumb with shorts and sketchers.. why don’t we just throw a fanny pack on and a visor and call it a day!? I also have been ordering a lot more subscription boxes- yay! I recieved Out of the Box Sampler (review up in a day! ), Ipsy GlamBag and JewelMint (as posted yesterday). 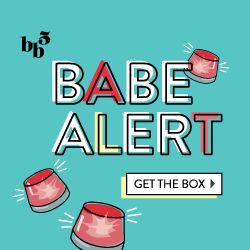 I should be getting ChicShave and JackedPack within a day based on my tracker, and then Glossybox, PlatinumBox (if they ever respond to my e-mails! ), Juniper, Sent Her Way and I’m sure a handful others that I just can’t wrap my brain around right now. So, what’s on your mind! ?